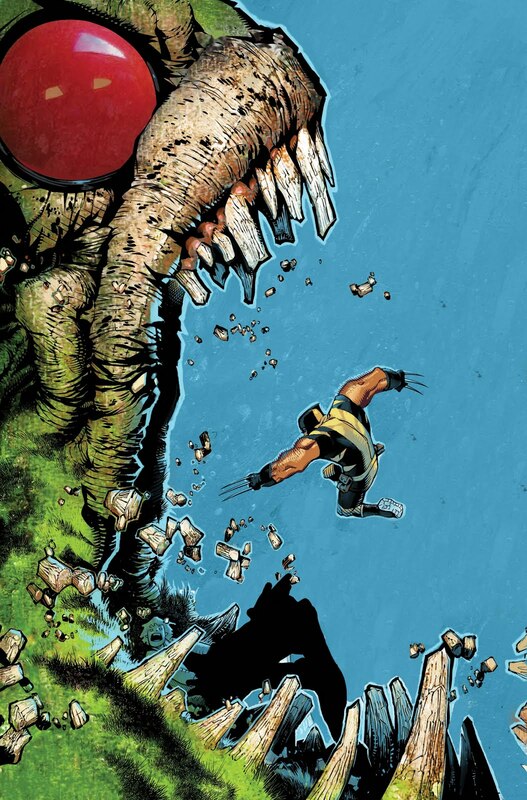 Krakoa, from Wolverine and the X-Men. He is a relatively new character to be sure, but not that much of a new concept. Another creature of the same name appeared in the first volume of Giant Sized X-Men #1, my first exposure to the X-Men. It just always brings a smile to my face to know that the Jean Grey School for Higher Learning is sitting on top of a monstrous golem, ready to bring down pain to anyone thinking they can threaten its fellow classmates. One of my favorite moments in the series dealing with Krakoa thus far involves Wolverine and Quinten Quire's search for funding to constantly having to rebuild the school due to X-Men style activities. The end result is Krakoa can birth a tree capable of growing diamonds, which makes a certain trip to an outer space Vegas seem like nothing but a good old time in the pages of comics. Can't wait to see what fun Krakoa brings to the table next!